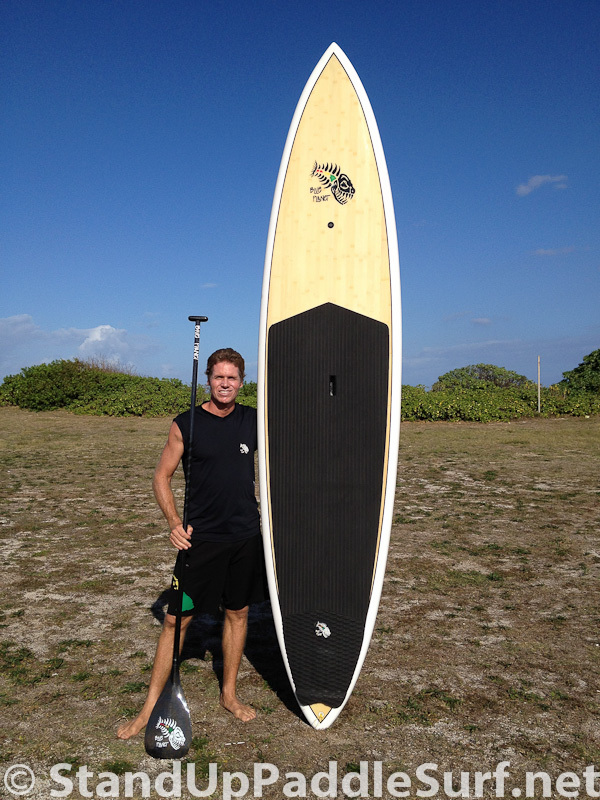 Here is Robert Stehlik with the new Blue Planet Surf featherlite high-performance carbon paddle. Robert also shows us their new high-performance paddle edge tape and microgrip paddle grip tape. I tested the paddle during this session at Mokuleia and was impressed. The paddle is really light. My guess would be around 16 or 17 oz. It feels around the same weight as a C4 X-Wing or Quickblade Elite Racer. The blade was a smaller diameter surf blade and was easy on my shoulders. I’ll have to get one of these for myself to try out more extensively. This entry is filed under Accessories, Gear Previews, Paddles. You can follow any responses to this entry through RSS 2.0. You can skip to the end and leave a response. Pinging is currently not allowed.